Having a surgical procedure to correct your myopia, hyperopia or astigmatism is a major decision and we specialize in providing you with objective facts and counseling so you can make the right choice. We can coordinate all your care through our office right here in Prescott. CRT (corneal refractive therapy) is a non-surgical option for vision correction. Schedule a consultation with one of our doctors today to discuss your options. 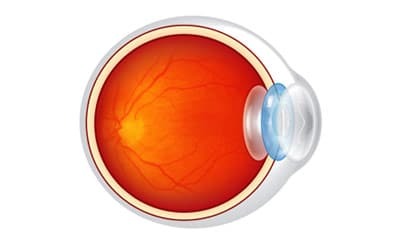 LASIK – (Laser-Assisted-In-Situ Keratomileusis) is an outpatient procedure suitable for most patients with low, moderate and some higher prescriptions. 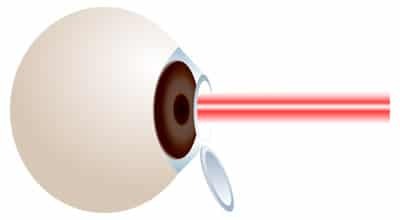 LASIK uses a cool beam of light from the excimer laser to gently reshape the front surface (cornea) of the eye. ICL – an Implantable Contact Lens (ICL) is suitable for patients with higher prescriptions including those who have been told they were not a candidate for LASIK. The procedure is similar to cataract surgery except the ICL is placed in front of the natural crystalline lens whereas in cataract surgery the natural crystalline lens is removed and an intraocular lens (IOL) takes its place. CRT – (Corneal Refractive Therapy) is a form of orthokeratology which uses specially designed rigid gas permeable (RGP) contact lenses to re-shape your cornea while you sleep. This is a non-permanent, non-surgical alternative. It is great for patients too young for surgery and for those who are fearful of surgery.